Founded late last year in Berlin, Wifis.org aims to help neighbours get in touch. The free service connects people through a unique URL that replaces your current Wi-Fi network name (SSID). 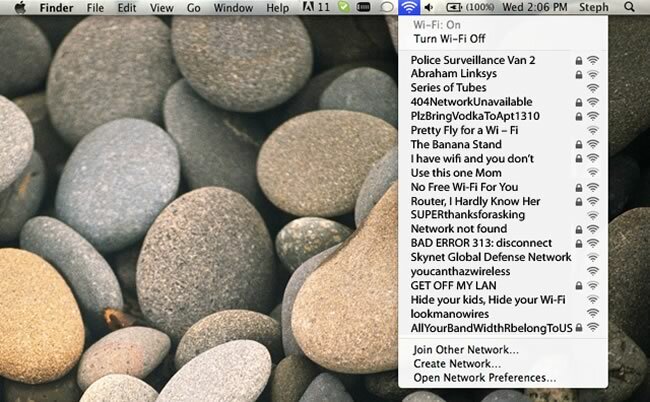 Instead of generating a chuckle, wifis.org allows people to get in touch without revealing their email addresses. The process is simple. Go to wifis.org and generate a unique URL. Replace your SSID with the URL. That’s it. Why is this useful? Wifis.org figures you can “share your Wi-Fi for a monthly payment” or meet your neighbours. The service is intended for the home user who wants to meet people, but it could also be useful for businesses who’d like to advertise their services.